With close to one million bonus Qantas Points on the table this month and up to 120,000 bonus Qantas Points to be had from a single credit card application, October is shaping up to be a particularly rewarding month for those in the market for a new personal credit card. Here are the deals to know about from American Express, ANZ, Bank of Melbourne, BankSA, Bendigo Bank, Citibank, NAB, St. George and Westpac. With the most generous credit card offer in the country right now for Qantas Points, the American Express Westpac Altitude Black Bundle tempts new customers with up to 120,000 bonus Qantas Points across the Westpac Altitude Black Mastercard and the American Express Westpac Altitude Black Card. With Westpac, your bonus comes in two parts, starting with 80,000 bonus Qantas Points when you apply for the bundle by April 2 2019 and spend $3,000 on eligible purchases within 90 days of card approval using the Altitude Black Mastercard (issued and serviced by Westpac). There's also a bonus of 40,000 bonus Qantas Points when spending $3,000 on eligible purchases within the same 90-day period using the American Express Westpac Altitude Black Card (issued and serviced by American Express), which also churns out 1.25 Qantas Points per $1 spent on most everyday purchases in Australia, uncapped. Combined, that's up to 120,000 bonus points on offer. The Altitude Black Mastercard carries a $250 annual fee; the AMEX, a $199 annual fee; and there's also a $50/year Qantas Rewards fee levied for earning Qantas Points. 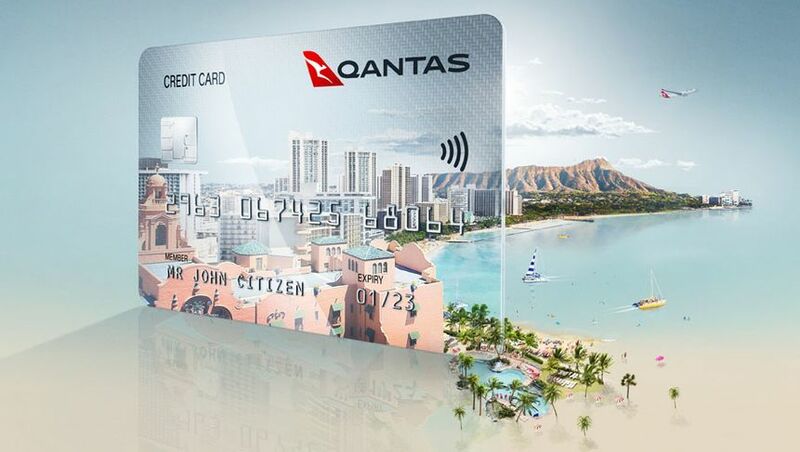 Offering 90,000 bonus Qantas Points this October, the NAB Qantas Rewards Signature Card, which also comes with a reduced annual fee of $295 in the first year, reverting to $395 in subsequent years. 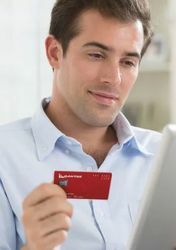 You can earn those bonus points as an eligible new customer by spending $4,000 on everyday purchases within 60 days of account opening, with all points earned on this card credit directly to your Qantas Frequent Flyer account. That includes the points earned on everyday purchases, being one Qantas Point per $1 spent up to $5,000 per month, then 0.5/$1 on spends of $5,001-$20,000, and no points thereafter until the next monthly statement period, although points aren't earned on ATO payments. With separate offers of 80,000 bonus Qantas Points this month, the St. George Amplify Signature Visa with Qantas Points, the standalone Westpac's Altitude Black Mastercard, the AMEX Platinum Charge Card and Bendigo Bank's Qantas Platinum Mastercard – here's the low-down on each deal. St. George: apply online for the Amplify Signature with Qantas Points card by January 23 2019 and spend $4,000 on purchases within 90 days of card approval, while also earning 0.75 Qantas Points per $1 spent on everyday purchases, plus a 10% 'birthday bonus' awarded in the month of your special day, taking that to 0.825 Qantas Points per $1 spent. You'll also find this points offer on the near-identical Bank of Melbourne Amplify Signature Visa with Qantas Points and the BankSA Amplify Signature Visa with Qantas Points credit cards when applying online – which, like St. George, are backed by Westpac Group. Westpac: Separate to the bundle offer above, Westpac's Altitude Black Mastercard is also available as a standalone product (sans AMEX), and right now, comes with up to 80,000 bonus Qantas Points for eligible new customers who apply by April 2 2019 and spend $3,000 on purchases within 90 days of card approval, while paying the card $250 annual fee plus the bank's $50/year Qantas Rewards fee to earn Qantas Points, while also receiving 0.75 Qantas Points per $1 spent, excluding ATO payments. American Express: Apply for the AMEX Platinum Charge Card, pay a $1,450 annual fee and spend $3,000 on purchases within the first three months to pocket 80,000 bonus Membership Rewards Ascent Premium points, and between 0.5 and 3 points per $1 spent on the card, all of which can be converted into Qantas Points at a 1:1 rate. Bendigo Bank: Apply for the bank's Qantas Platinum Mastercard by October 31 2018 and spend $2,500 on purchases within the first 90 days, aside a $149 annual fee and an earn rate of 0.6 Qantas Points per $1 spent (excluding ATO payments), up to 20,000 Qantas Points per month. Apply for ANZ's card and you could earn that bonus – plus $75 back on your statement (reducing the sting of the $295 annual fee to $220 in the first year) – after spending $5,000 on eligible purchases in the first three months, and you can also earn 0.75 Qantas Points per $1 spent on eligible purchases, up to and including $3,000 per monthly statement period (0.5/$1 thereafter). Over at Westpac, its Platinum-grade bundle deal mirrors the Altitude Black Bundle by splitting your bonus points into two distinct servings: firstly, with 60,000 bonus Qantas Points for new customers who apply for the American Express Westpac Altitude Platinum Bundle by April 2 2019, and spend $3,000 on eligible purchases within 90 days of card approval using the Altitude Platinum Visa (issued and serviced by Westpac). In addition, you could also earn 15,000 bonus Qantas Points after spending $3,000 on eligible purchases within 90 days of card approval using the using the American Express Westpac Altitude Platinum Card (issued and serviced by American Express), for a grand total of up to 75,000 bonus Qantas Points, as one card application (lodged by April 2 2019) can cover both the American Express card and the Visa. Finally this month, an offer of 70,000 bonus Qantas Points on the Citi Prestige Qantas credit card, for eligible new customers who apply and spend on the card once within 90 days of card approval. Not sure if anyone can offer advice as to succeeding with a signup for bonus points - I earn a comfortable income and have 2 x investment properties that are almost positive geared - each time I apply for a card online I am declined yet I have considerable savings, pay credit card off to $0 each month, am in advance close to $100K on home loan - I think the problem is that when I list rental income and car leases the online credit formula can't process - I have tried unsuccessfully to request a review on one card but 3 x email requests have gone unanswered. Wondering would I be better to apply face to face in a branch but did note for the WPAC card the bonus points offer was not on their website but was listed under the banking tab on the QF FF website - I have no concerns as to my ability to meet repayments but feel my online application is not straight forward - advice/assistance appreciated. Don't apply online. You need to call them. Amex are very good with non-standard but high-earning situations, you just need to spell it out to them and let them contact your accountant. OK, great news regarding reward points for new cards, but can anyone tell me where 120,000 Q points would get me and back? Good luck might get you too BKK only when they allow you. 92000 for Jetstar economy to BKK from Melbourne. 120000 + charges for Emirates business from Melbourne. Sounds like plenty of travel! FYI 280k and say $5k cash will get you a OneWorld Around the World Award airfare in Business Class. Applying for the ANZ card was a nightmare. The woman to whom I spoke in a suburban branch was a gem and did all she could to assist. The assessment department is nuts but eventually we won. Then comes the kicker. I sent the papers to apply for full monthly deductions, heard nothing, rang to ask what was happening and the dill in Melbourne on the end of the line told me it was set up for the end of each month. Great. Bill comes in; I've been assured it will be paid automatically. Big mistake!! The dill didn't tell me the first ball would have to be made either at a branch or online because of the timing of the billing period. Second bill comes in - with penalties courtesy of dill. New phone call. Got a woman in the Philippines who told me dill had not given correct information. The penalties were removed, I paid part of the bill immediately via the internet. After all this was fixed comes the attacking letter. Why can't the ANZ bank things right and in the right order? Don't think I'll be keeping this card. I just don't trust the ANZ bank. (I'm still waiting for the $200 bonus refund of annual fee on taking up the "new" card). I feel your pain. Cheap credit is waining fast, as shown by a very modest dropping of house prices in the eastern states. We have to provide ever more information and have it verified to qualify. I want to change credit cards but can't while still holding onto my existing ones. (Visa/AMEX) If I cancel my cards they are happy to give me a credit limit higher than what i already have. Go figure that one out. Too hard basket for little gain. As for ANZ stuff up, well being in IT, I can make a calculated guess what happened. By the time the penalties were applied it was too late to stop the letter. The flag was set within hours of late payment due, sent to a print queue for processing, to be automatically stuffed in a envolope and sent from their printing hub, eg Melb or Syd. Westpac computer said Nah to a dependents-free, debt-free, single professional with unblemished credit history, ample assets and income and cash balances that are multiples of their application threshold. Maybe they don't make money out of the folks who run their affairs properly. Comment on "October's top Qantas Frequent Flyer credit card sign-up deals"